Ever since Le Veto opened its doors in 1997, we have been working against all odds to bring a new meaning to the world of animal health care. Run by Dr. Abdo Kallassy and Dr. Tatiana Kallassy, Le Veto has raised the standards and made it the norm to treat their patients in the most compassionate and humane possible way. Our passion actually comes from our love for animals which is why the requirements for staffing at Le Veto include not only experience and professionalism, but also the basic urge that pushes them to keep learning and striving for the best quality care. This, in addition to owing the best and latest in state-o-the-art equipment crated specifically for animals, is what has raised Le Veto to being one of the leading Veterinary Hospitals in the entire Middle East! Our reputation is so wide-spread that we receive patients for orthopedic and ophthalmic surgery from all over the Middle East. And we are dedicated to taking care of your precious pets... from all their health care needs, to grooming as well offering you loads of products in our pet shop! Le Veto is open from 9AM until 7PM and of course, our emergency line is open 24/7! it's easy to claim being the first and for Le Veto, it's even easier to list the reasons why! 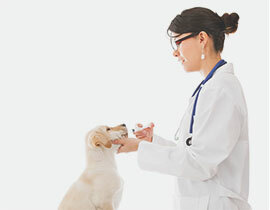 Our basic everyday services include vaccination and examination of your pets and, a major concern that is so often overlooked, dentistry. All of our treatments are completely up-to-date and it is important to mention here that we have also incorporated chemotherapy into our list of treatments... another way of bettering the quality of as well as prolonging your precious pet's life. Our hospital is fully equipped for these services with numerous examination rooms where we follow the highest standards of hygiene, which is always at the forefront of our concern. We are proud to have the latest in x-ray machines and other equipment specifically for animals dentistry which insure excellent results during teeth cleaning, extraction and dental and oral surgery. Domestic animals can save you from loneliness and give you a sense of fulfillment. The best thing you can do to reward them is to take good care of them. 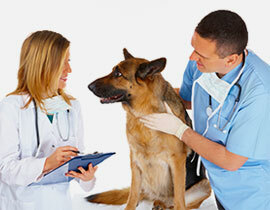 To keep your pet happy and healthy, you must take it to your local vet for a regular medical examination. 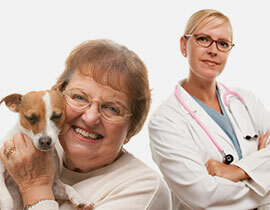 Your tame animal needs vaccinations against rabies, distemper and other common diseases. 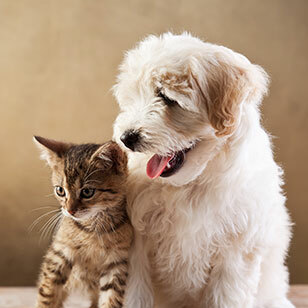 It’s also important to keep your pet safe from parasites such as fleas and tapeworms. 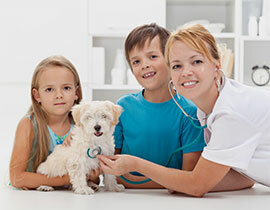 To decrease the number of unwanted pets, consider an idea to sterilize your animal. Cats and dogs often get lost, that’s why it’s reasonable to insert a microchip under the skin of your little friend. In such a way, you will find it for sure wherever it is. We supply only those pet products that meet industry standards and show excellent results in the process of our examination. Every member of our staff has undergone training to become an expert in the pet industry and provide advice for you.